Highly touted Blades goaltending prospect Nolan Maier was in Calgary this past weekend taking part in Hockey Canada’s Program Of Excellence Camp. Nolan was one of 16 goaltenders in the U17 age group invited from across the country. 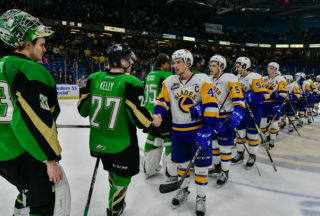 Before Nolan left he spoke with Darren Zary of the Saskatoon Star Phoenix, and you can read the full article by clicking here. After returning home late Sunday evening, Maier said it was an incredible experience. “Overall the weekend went really well. There was such great coaches there and so much to take in, but I feel I learned a lot about what I need to work on over the summer and to be ready for camp,” explained Maier. 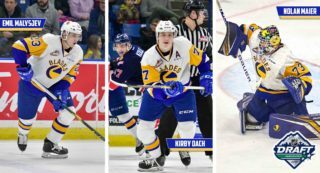 “It was exciting arriving there and being around the best goalies in the country, pretty cool to see where you stack up against the other guys.” Fans can expect to see Maier at Blades camp which is tentatively slated for August 26th. Maier spent last season with the Yorkton Maulers of the Saskatchewan Midget AAA Hockey League, and as a rookie posted a .920SV% in 24 regular season contests. Maier was selected 25th overall by Saskatoon in 2016. 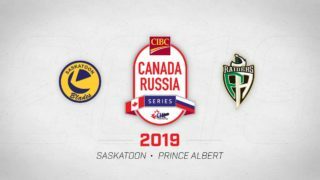 Blades import d-man Mark Rubinchik had an impressive showing for Russia earning a Bronze medal at the World U18’s back in April and is hopeful of hearing his name at the NHL Draft which is coming up on June 23rd & 24th in Chicago. In the meantime, Rubinchik has been training and also recently took part in Russia’s National U20 camp. 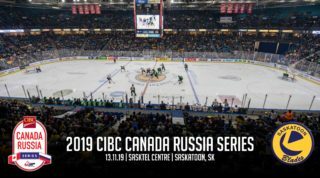 Mark will also get a serious look to represent Russia for the Canada-Russia CHL Super Series. He was told by the coaching staff in Russia to “be prepared” to compete in the series. A couple of former Blades were crowned ECHL Champions last week when the Colorado Eagles won the 2017 Kelly Cup. 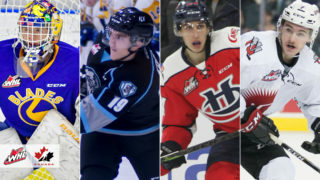 Defensemen Teigan Zahn and Assistant Coach Ryan Tobler were among 14 CHL graduates on the championship team. Zahn, a former captain of the Blades, played 287 regular season games with Saskatoon while Tobler played just one season in the Bridge City back in 1994-95. Libor Hájek and the Syracuse Crunch are just two wins away from winning the Calder Cup in the AHL. Hájek signed with the Tampa Bay Lightning almost immediately after the WHL season ended and managed to get into 8 regular season games with their AHL affiliate in Syracuse. But with the Lightning missing the NHL post-season and many players being returned to Syracuse, Hájek hasn’t seen the ice yet in the playoffs. The Crunch will look to stave off elimination tomorrow night as they trail the Grand Rapids Griffins 3-2 in the best of 7 series. The votes are in! Brock Hamm made the Saskatoon Blades 2016-17 Play of the Year as voted by the fans with his sprawling save against Tyler Soy of the Victoria Royals. Watch the video here. A quick reminder for season ticket holders: Seat release date is this Thursday, June 15th. A $50 deposit is required to reserve your seat, so call our office today at 306-975-8844. All unclaimed seats will be made available to the public on Friday, June 16th. Our team Chaplain, Kim Worthington, recently got a promotion and we couldn’t be more proud to have him working for us. Kim has worked for Saskatoon Youth For Christ for the past 12 years and will now be taking on the role of director. Congratulations Kim! Read more on Kim and his story here.